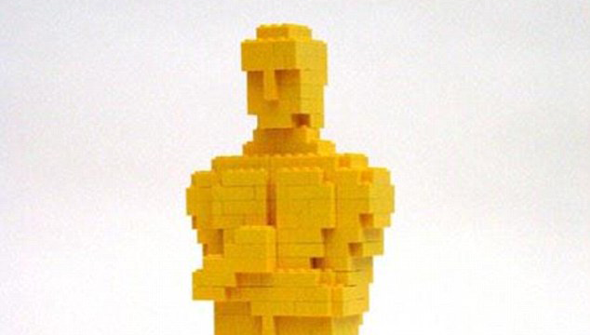 Home / awards / blog / CG / CP / views / On The Oscars, Animation and that Lego Movie 'Snub'. On The Oscars, Animation and that Lego Movie 'Snub'. There has been an awful lot of opinion pieces written in the last week about the fact that The Lego Movie was not nominated for a Best Animated Feature Oscar. In fact, the Internet seems more outraged at this 'snub' than the fact that no non-white person was nominated for any of the major categories. Frankly, this is the most interest the mainstream media has paid to the animation category since it was established. Which is something, I suppose. The thing is that the majority of these pieces are arguing the same thing- that Lego Movie should have been nominated over film x. Depending on the writer "film x" may be Big Hero 6 or How To Train Your Dragon 2 or whichever film the writer in question has chosen to illustrate their point. The problem is, that this is entirely subjective. Lego Movie is not objectively better (or worse) than Dragons, or Boxtrolls, or any of the other nominees. There were only 5 spots, and more animated films are being released each year than ever before. Could it be, that (gasp!).. the voters just liked other films better? Surely not? Of course, some will cry foul over the inclusions of the outsiders Song Of The Sea and Princess Kaguya, arguing things such as "nobody's ever heard of them". But the argument that a film deserves nomination simply because it made a lot of money is redundant. If that were true, Transformers 4 would be in contention for Best Picture. Should The Lego Movie have been nominated? Quite possibly, but I'd be hard-pressed to say that any of the nominated films don't deserve to be there instead. 2014 was an extremely strong year for animated film. The very fact we're in the situation where deserving films (and many more than just Lego) are missing out, is quite a position to be in. We've come a long way from 2004, when there was only three nominees, and one of them was Shark Tale. Let that sink in for a moment. Shark Tale was an Oscar-nominated picture. For realsies. Some people have argued that it's more worrying what this 'snub' represents is more worrying. Academy voters are infamously primarily old white dudes, who as a rule don't really care about animation. Those same grumpy old white dudes would probably refuse to watch Lego Movie on principle, and probably just vote for anything made by Disney by default. If you want to get an idea of the thought process that most Academy members go through, last year's report on Cartoon Brew will explain an awful lot. Even if we give them the benefit of the doubt and assume they did watch it, it's probably not really ever going to be their cup of tea. Ultimately Lord and Miller's movie didn't need a nomination. It was a major box-office hit- in fact, it was 2014's biggest film in the UK. It was loved by most critics and made many best-of year end lists. It will be a favourite for years to come. On the other hand, the nominations will bring exposure to films such as Song Of The Sea and The Tale Of The Princess Kaguya. People who otherwise might never have even heard of them will get the chance to fall in love with them, and surely that can only be a good thing? It's a shame that in a year with such a strong line-up, the conversation is being overshadowed by a film that wasn't nominated. As animation fans, can't we just be happy that so many great films did make the cut?